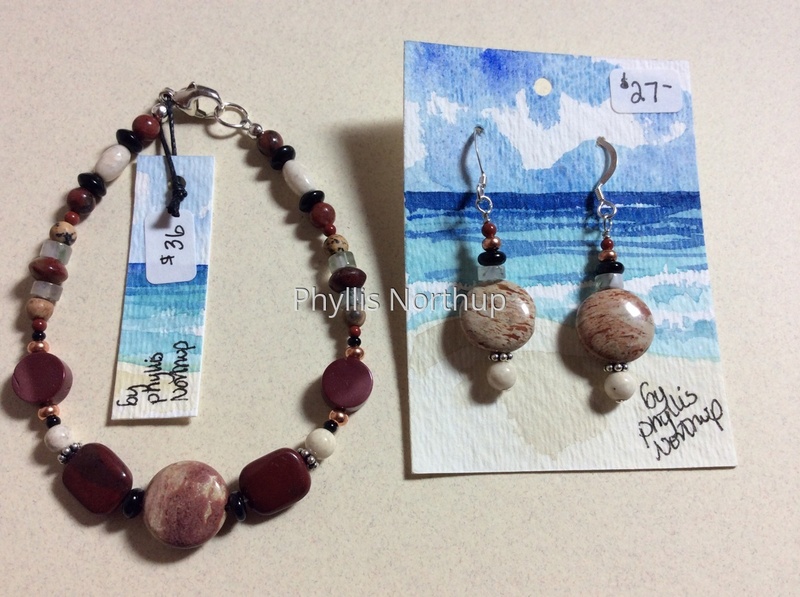 This set has lovely soft colors of deep reds and tans, with patterns similar to sandstone. The center stone and earrings have especially pretty patterns. The stones are various jaspers, river stone, onyx, agates, and copper, with sterling clasps and ear wires. Bracelet is approximately 7 1/2" and the earrings are 1 1/4" drop. Purchased separately $63, save $5 by purchasing the set for $58.